In addition, hydro-transportation, which is now being widely used throughout the world, is proving to be more cost-effective than other bulk transportation systems such as conveyor belts, long haul road or rail transportation. “An important factor here is that hydro-transportation pipelines require less maintenance than comparable bulk transportation systems,” says Aegion SA General Manager, Johann Scholtz. Much of Africa is chronically short of water. Hydro-transportation also presents a viable alternative to conventional tailings deposition. “In arid water-scarce regions, the pumping of ‘paste’ tailings cuts water usage and losses dramatically,” Johann adds. In Southern Africa currently, Aegion South Africa has been supplying hydro-transportation solutions to several of the major mining houses in South Africa, Zimbabwe and Zambia, and the company completed hydro-transportation projects for a number of Southern African platinum, gold and copper mines. Aegion’s proprietary pipeline technology the Tite Liner system – as well as its Steel Polypipe spool solution – are used in both new and rehabilitation solutions for hydro-transportation. Complete replacement of pipelines is costly and time-consuming, but Aegion sister company United Pipeline Systems developed and provides the world’s leading in-situ polyethylene pipe lining systems for the rehabilitation of existing installations. This solution has proven to be a major improvement over replacement options, especially in pipelines that are in a poor condition. The specialised wear-resistant polymer provides excellent flow characteristics that in some cases improve the overall system performance. This factor releases significant savings when hydro-transporting over extended distances. 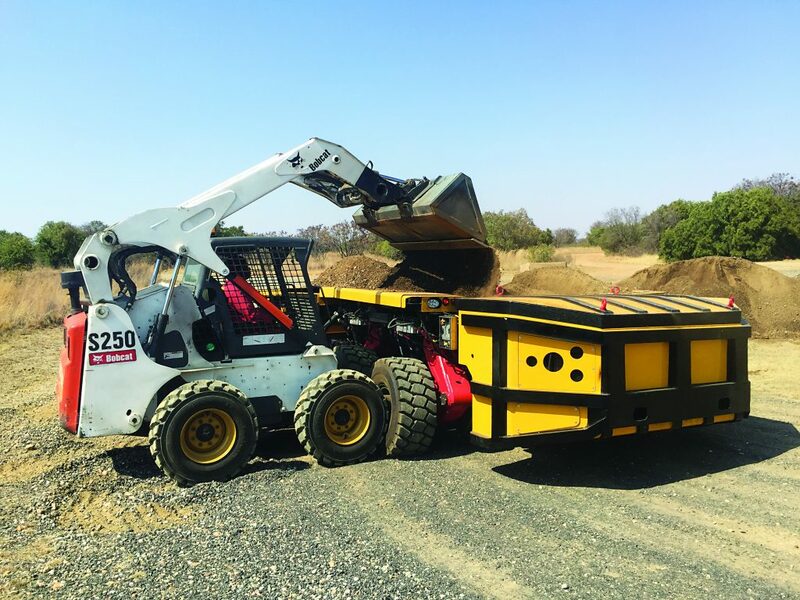 Aegion South African shareholder, Robor’s Pipe Systems division, manufactures and supplies a range of steel pipe and customised conveyance pipe solutions and products. “At Aegion SA, we are fortunate to be able to tap into this experience and expertise,” says Johann, adding that the company is also cooperating with South African consulting engineers and globally-renowned hydro-transportation specialists. The transportation of corrosive or abrasive slurry materials in the oil, gas, mining, industrial and municipal markets will lead to rapid failure if the correct solution is not implemented from the outset. The HDPE-lined steel polypipe system combines the inherent strength of steel with the visco-elastic properties of HDPE to deliver high-pressure capability, structural integrity, resistance to mechanical damage and chemical and abrasion resistance, properties well suited for use in hydro-transportation projects for more than 20 years. Mining the world over is under pressure as the grades of available new orebody discoveries decline. The answer is in larger volume mining and more effective and economical minerals processing. “Africa is the world’s last relatively unexplored mining frontier, and we look forward to providing our advanced and cost-effective hydro-transportation solutions to both new and existing mining operations,” Johann concludes.